I got this through the door today. 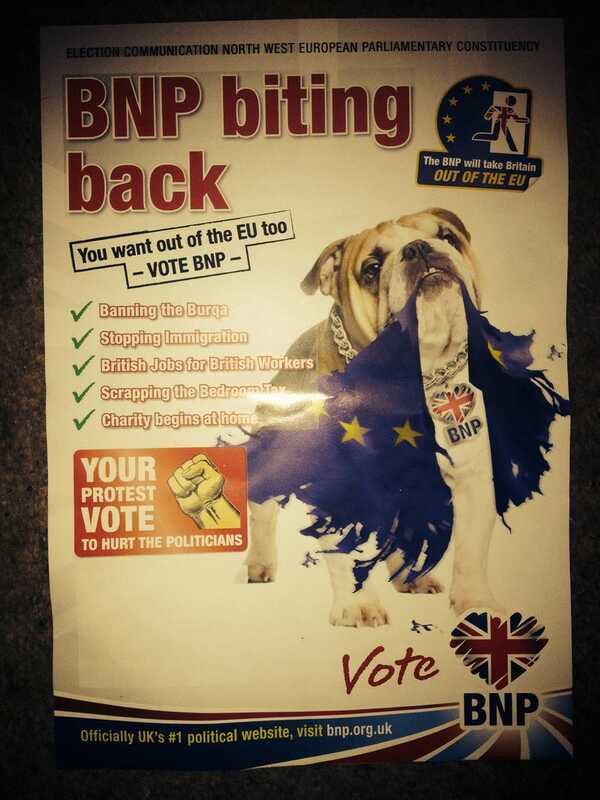 Just in case anyone had forgotten that there is in fact a British political party worse than UKIP. And the back. I don't really have the energy to point out all the ways that this is a disgusting piece of racist propaganda, but hey it's not exactly subtle. Their obvious hatred UKIP stepping on their turf gave me a dark chuckle.